Receiving a notice from the IRS can be a frightening experience, but it doesn't have to keep you awake at night. Call Jacksonville CPA firm Lawson Accounting Group, LLC at 904-260-2904 and let us go to work on your behalf. Don't lose another moment of sleep worrying about tax problems. 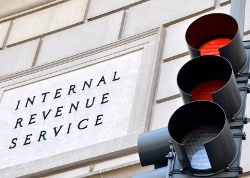 Call Lawson Accounting Group, LLC today to discuss our IRS problem resolution services.